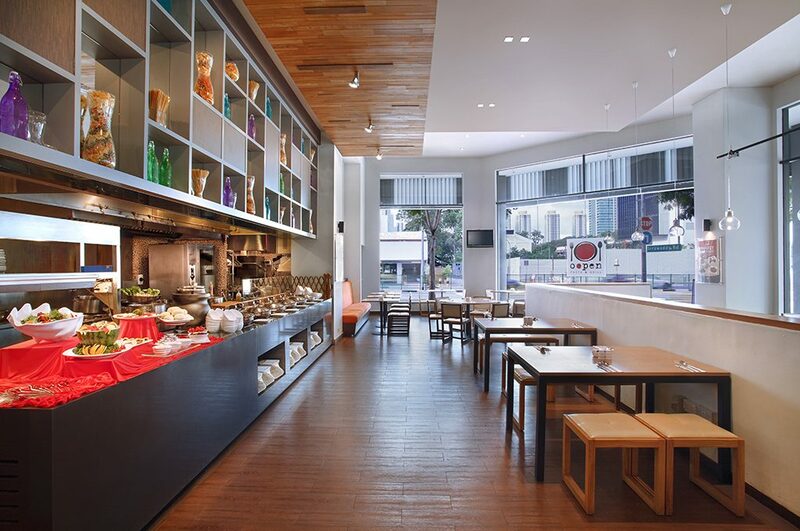 Located on the ground floor of ibis Singapore Novena, the light and airy Oopen Pasta and Grill offers a variety of pastas, grilled meats and vegetables, and Asian dishes in a contemporary setting. Ideal for families or guests on the go, the menu and buffet deliver something for every taste at this casual, budget-friendly restaurant. 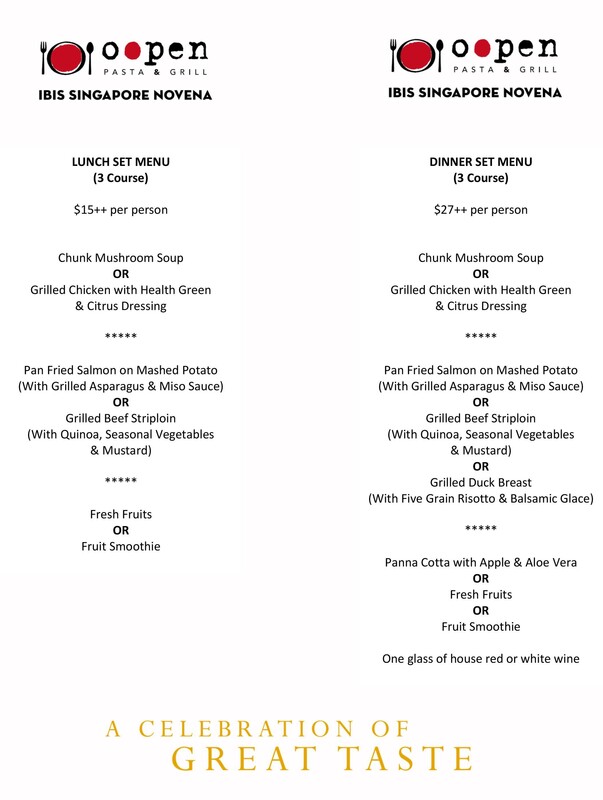 Enjoy freshly prepared burgers, savoury house-made pastas and tasty Asian regional favourites for lunch or dinner. Or stop by in the afternoon or evening for a quick snack and refreshments.